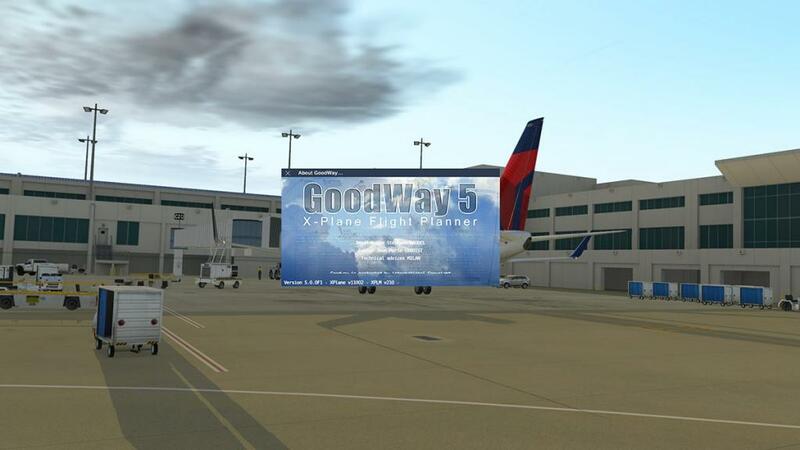 If anything can show that you are a long time user of the X-Plane simulator, then it is the word "Goodway". The Goodway Flightplanner was all the rage back in the days of early X-Plane versions onwards from 2003 because it was A - good, B- easy and most importantly C - Fast. 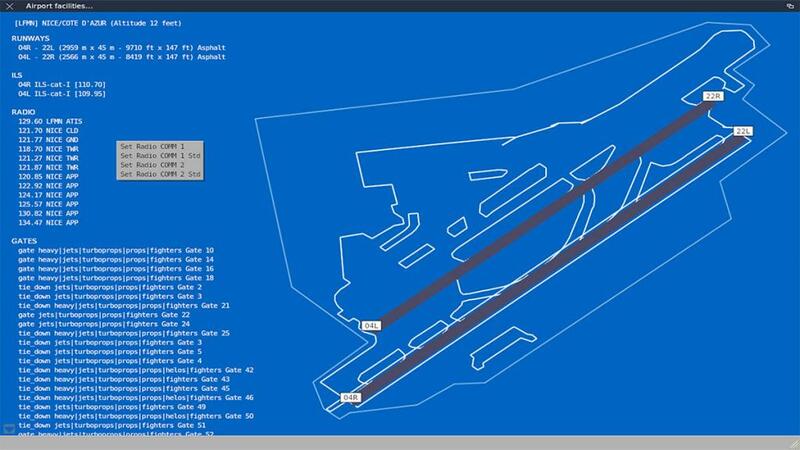 Goodway used line vector drawing and not the complex (online) maps to create navigation routes and then loaded them directly into the aircraft, so the flightplanner was not an external system but a built into X-Plane plugin, with all those benefits. By the end of the last decade the v4 Goodway was feeling a little out of date and was not updated to keep up with the advances in the simulator, so it became buggy and outdated. At the time the developer noted that there was a new version in v5 coming soon to clear away all the cobwebs and create a totally new modern version with a long list of new features, development went on for a few years and then the whole deal just sort of fizzled out. But here now is that newly released v5 Goodway flightplanner. 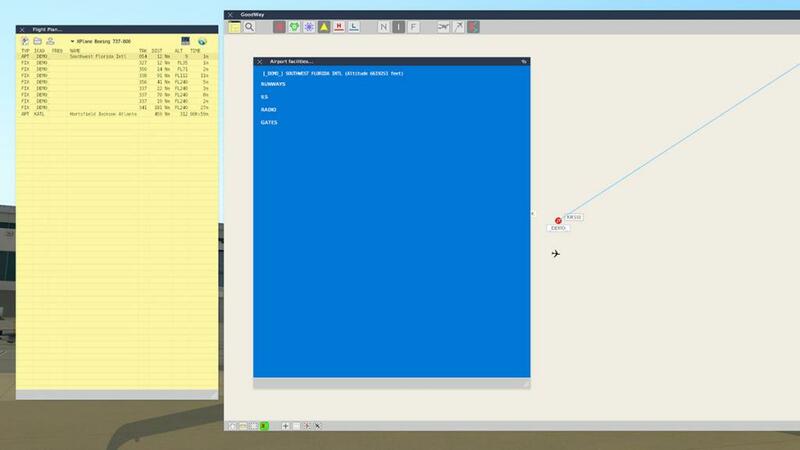 It is still integrated in with X-Plane V10 and V11 64Bits in a plugin (no 32bit version). 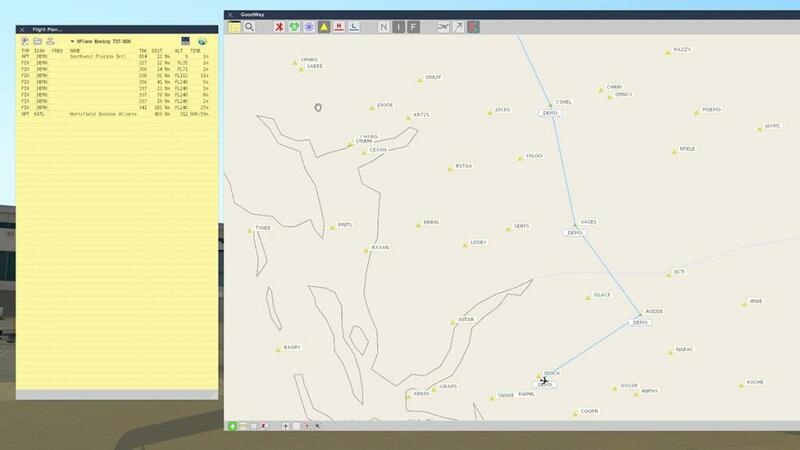 This means that all the tools offered by GoodWay are also still directly usable in X-Plane. I tried out the "Demo" version. 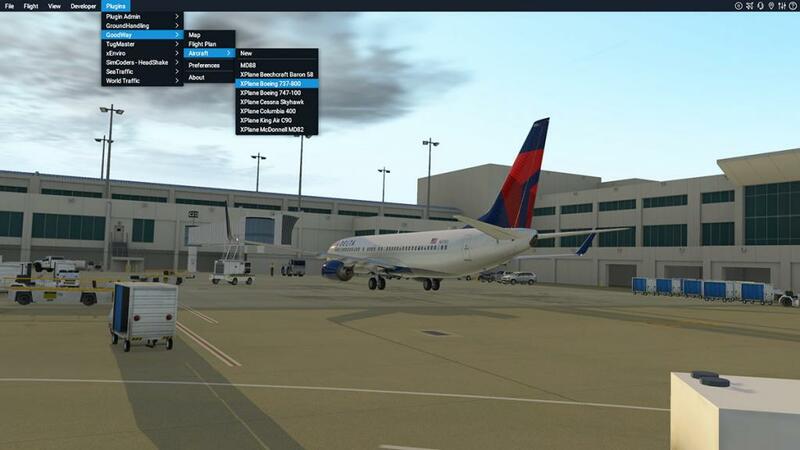 Goodway v5 is downloaded and inserted into your X-Plane "Plugins" folder and will show up under the X-Plane plugins menu. Aircraft covers the preferences for the aircraft's performance for Climb, Cruise and Descent (Goundspeeds) and Climb and Descent vertical speeds and finally the Flight Altitude, the preferences can then be saved, but you have to get them right and there are no .Mach speeds in there, or it crashes the plugin. 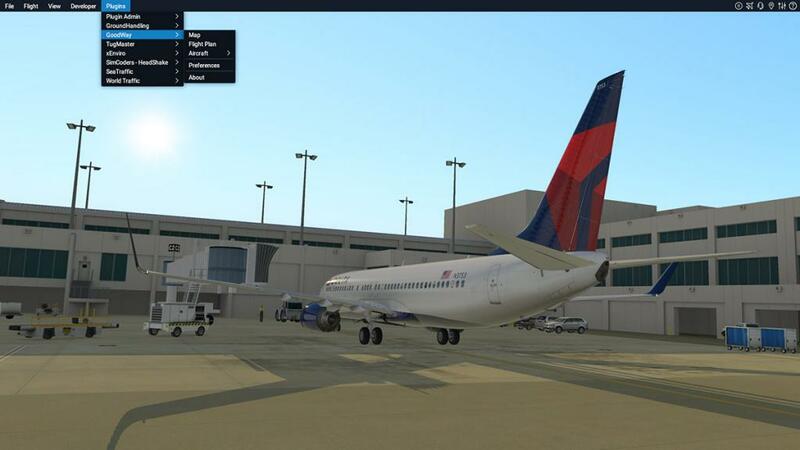 There are a set of default aircraft settings you can use, so picked the default Boeing 737-800. Next you set up your (basic) route via IACO Departure and Arrival airports and the choice of two VIAs. 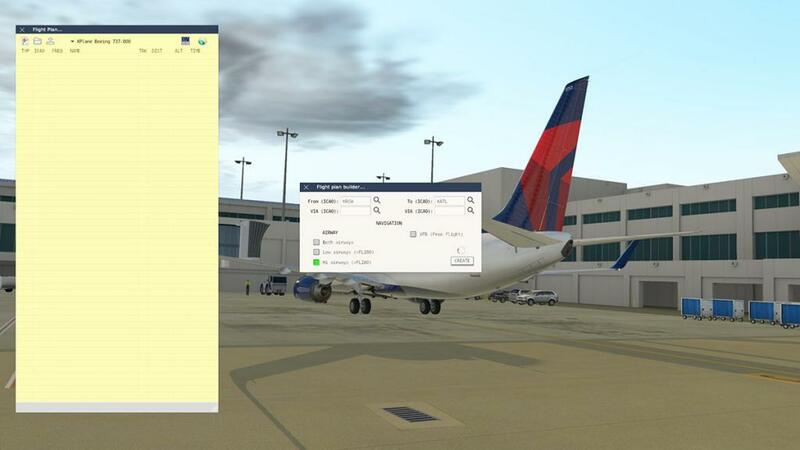 And GoodWay will suggest VIAs that can match SIDs or STARs for airports, but it is not a perfect SID/STAR flightplanner, but notes suggest that this may come in a future feature when X-Plane11 has been finalised and sorted. 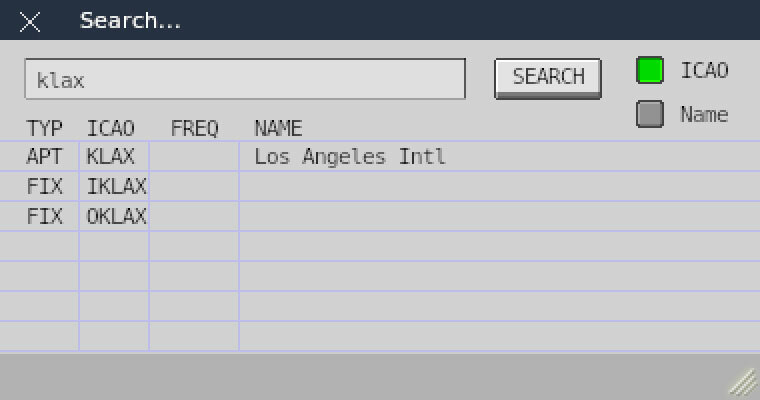 One bonus of this Flightplanner is that it does list all the current Airports, VORs, NDBs and Waypoints (fixes) from the current X-Plane database. 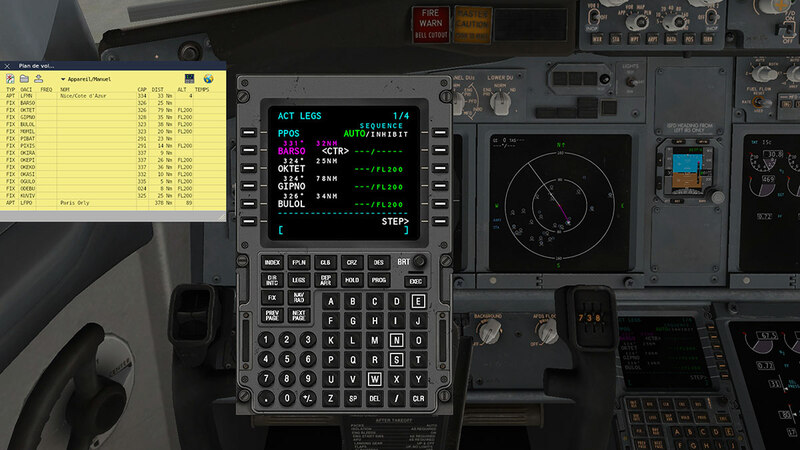 And this aspect and with the actual name titles makes it easy to find and select the current navigation data that is available, even if you are not using the X-Plane .fms flightplan system but programming your FMS system in a larger addon aircraft like the Flightfactor machines or Rotate's MD-88, and the flightplan and route can be seen (or is handy) in the your current window and not on a secondary screen or monitor. After imputing the DEP and ARR airports Goodway will create a very basic route and flightplan with TYPe, ICAO, VOR Frequency, Name (Airport or Nav Aid) TRK (track), DIST (Distance), ALT (Altitude) and Time to Nav Aid. The biggest bonus is speed, Goodway was and still is very fast, but you have to wait if if it has to compute long routes. The MAP page is still pure Goodway. 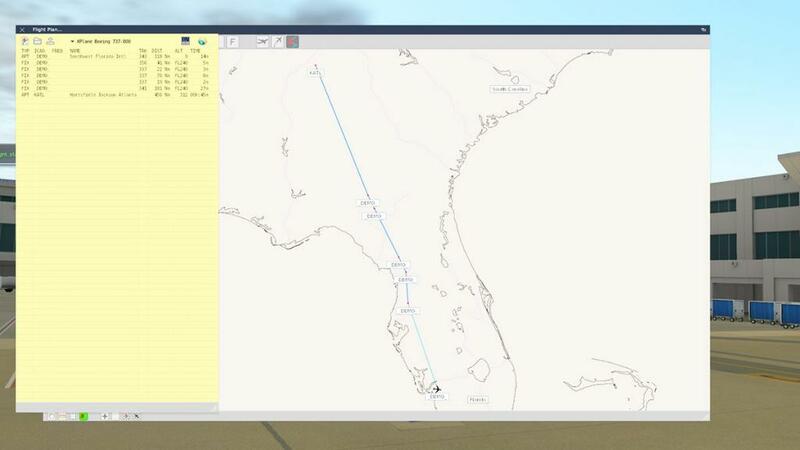 Top menu is the map selections including the Flightplan Tool and Search. 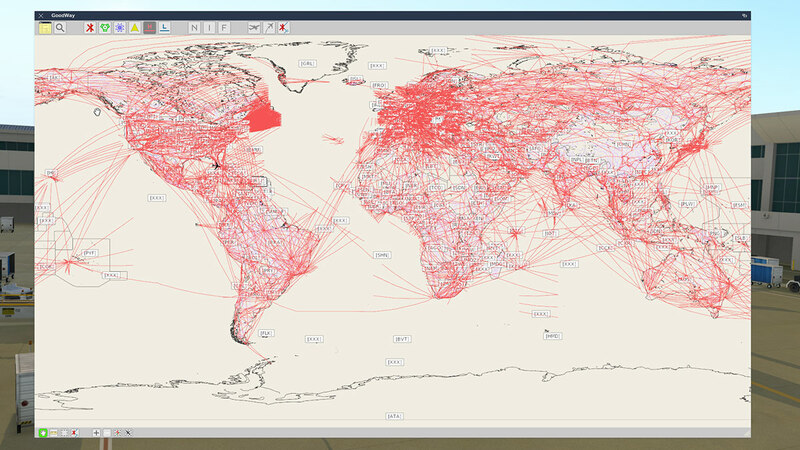 Then a selection of (on/off) Airports and Nav-Aids. H (High) - L (Low) routes. Next set include N - Names (place), I- Information and F - Frequencies (VOR/NDB) and the final set of selections are for Show Aircraft, Show aircraft on route (if Active) and finally Flight Path on or off. 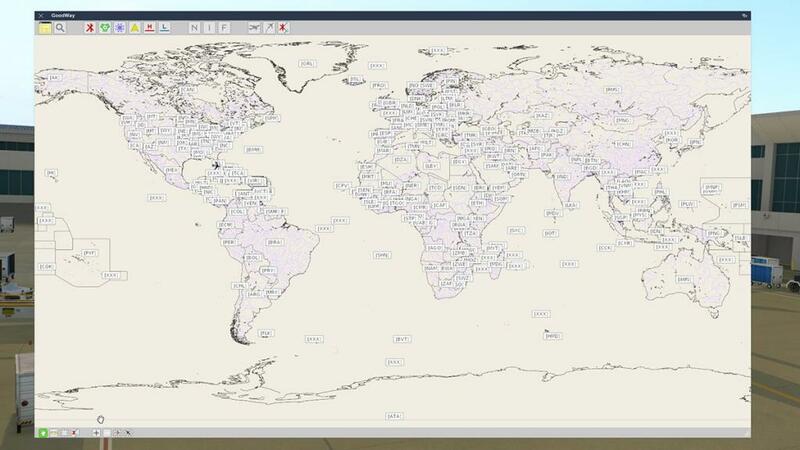 Lower Tools include Hand (move map), Ruler, Area Zoom and Modify Tool (editor). Map zoom level +/-, Centre and Zoom and Zoom Aircraft. This panel shows your selections for Airports, Helipad, and Hydroport, and Show Rivers, Country (boundaries), Aircraft (yours), Airports (Fix), Smooth the Map? which is for very slow computers... and log flight path. Once you have created the basic route you can easily modify it to meet your current requirements. If you are an old user of the Goodway, you can smile again as you know how extremely easy it was to edit the flightplans and with an extremely fast speed if you were a master of it. 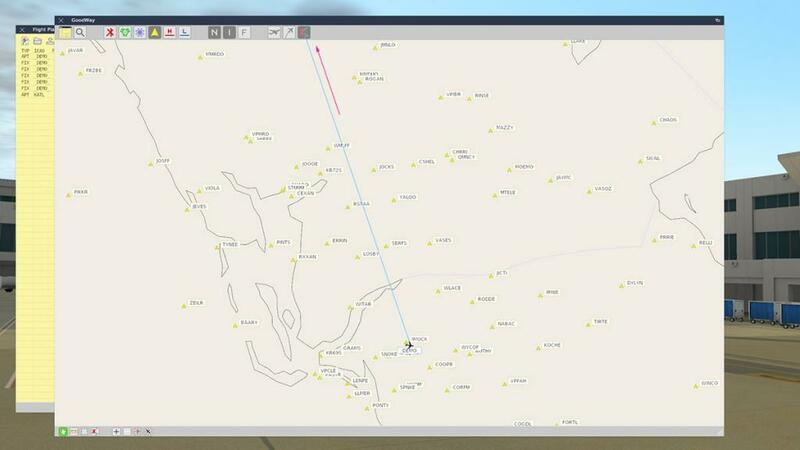 The key tools are very easy to use between the Shift (duplicate waypoint), Control (move map) and Drag for waypoints and Define to select a work area. The old slight annoyances come back as well? first is that you have move to the first waypoint to duplicate it? And usually it was way off the map, and then you had to leap frog the duplicate waypoint back down from visual waypoint to visual waypoint to the first waypoint that you needed to select? Once there however then you can just then duplicate that waypoint for the ones you require that are now more close to it. 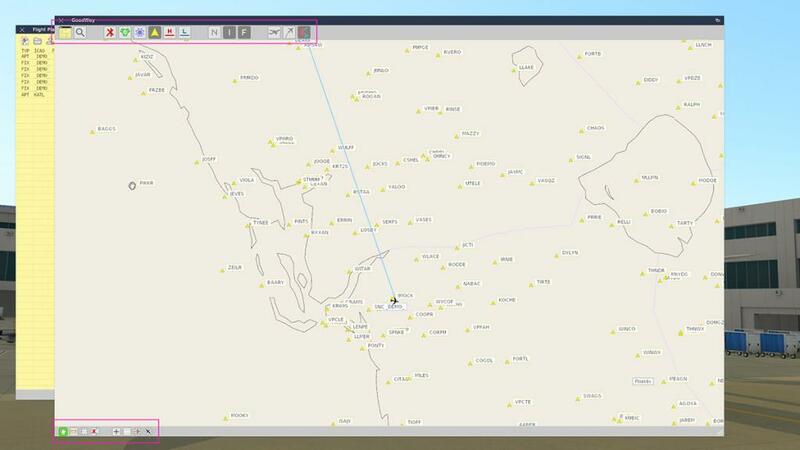 More modern Flightplanners just allow you to click on the waypoint you want by selecting it. But a pro can create a edited flightplan in double quick time, for that Goodway is unbeatable. Low and High Routes are very well represented and again extremely useful when creating larger FMS flightplans (airways) for add-on aircraft as the routes can be scrolled to find airways that are not shown on over limited flightplanners. Vector design means very fast movement and scale, so scrolling is extremely fast and the whole world is easily available. But I used to have issues with the flightplan if it crossed over the dateline or the edge of the map, certainly with editing close to the edge of the map. I don't know if this issue is still there, but it was hard to fix at the time. Airport information is very good and frequencies are selectable. 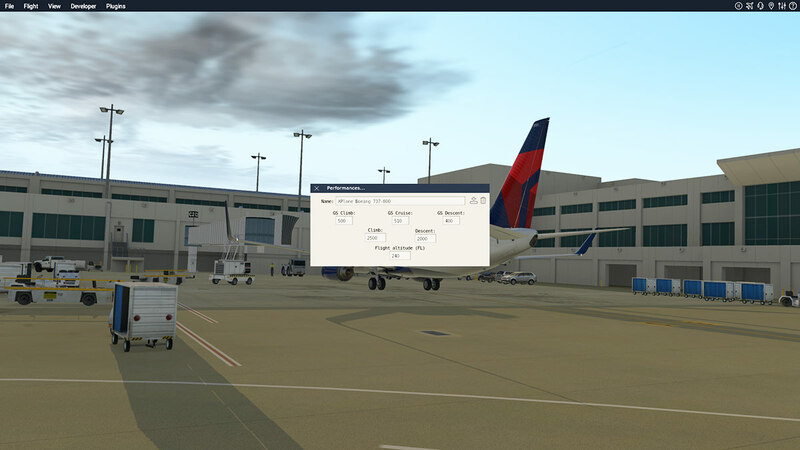 You don't get the airport display in the Demo, but the official one looks like this. Search for Airports and Nav-Aids is very good, with a wide source of selections. But as noted it is excellent for in window/screen FMS route creation. Considering the extensive time period between the last release and this v5 Release you do expect a more modern flightplanner. The v5 Goodway is not that different than the older v4 version all those years ago, yes there are new features, but in reality it is still really the same old Gateway. That is of course a bonus as well as a negative as it is a powerful tool to use as it is lighting fast to create routes or to find Nav-Aids or Airways. Editing is exactly the same and with the bonuses and negatives with that as well and the overall design is slightly old fashioned as well on icon design and layouts. The quirks are still in there as well, dragging the first point by point duplicate to a closer airport waypoint to create a SID drove me mad, and as there is also no topographical map, it is very easy to design routes that can fly you directly into mountains (there is still a black mark on a mountain in Victoria B.C with my name on it). Price is quite high at €25 Euros (US$26.75 Current), as very good as it is, it is still expensive with a lot of good flightplanners around (there was a €20 Euro introduction price but that period has now ended). I really loved the Goodway (in the past) and shred a few misty tears using it again here, but the point is would I front up that much for it again (sorry no upgrades from v4) as that is debatable. The Demo is really too limiting for me to make up my mind either, but for €15 Euros I would present my credit card as in many areas it is a very valuable route making tool. So the Goodway route creation tool is back for X-Plane... was it worth the wait? Positives: Extremely fast route building and editing tool, Built directly into X-Plane via a plugin, Good use for current default X-Plane FMC systems and excellent for route creation for FMS aircraft, New aircraft preferences must be correct, Older X-Plane pilot's will cry again as they use it. Negatives: Not that big a leap from v4, Still a few quirks that drove you mad then still do, No topographical mapping for altitudes, Expensive for a vector program and only one computer per license is permitted. 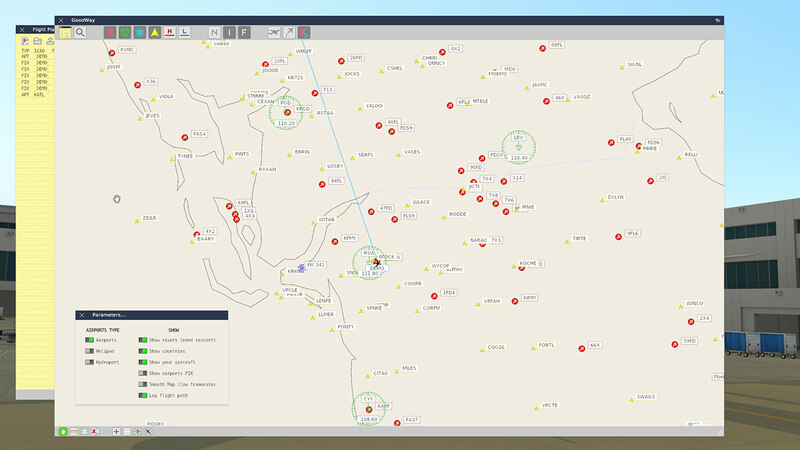 • Detailed information about airports: Airports in blue print, ILS list, Radio, and all the details of each airport, you can also adjust the radio frequencies and ILS in 1 click. • Powerful search tool that will allow you to search for any beacon, waypoint, airport and even a city on the map. The download package is 25.70mb and is 74.70mb when installed in your X-Plane "Plugins" Folder. Both MAC and Windows version provided. Registration and Authorisation key is required: Demo is free but limited. Manual in English, French and German is available from site. - no one killer feature when coming from v4 and then we wait that long for only that ? Other than that, a bit expensive when we see the online offer. Anyway, all the best to v5, I used v4 nearly everyday with pleasure. On the website I see no German manual.